Chinese knot or Chinese traditional decorating knot is a folk handicraft. Appeared in ancient time, developed in Tang and song Dynasty and popularized in Ming and Qing Dynasty, Chinese knot has now become elegant and colorful arts and crafts from its original practical use. The characteristic of Chinese knot is that the Chinese knot is knotted with a silk cord into traditional patterns with colorful tassels. It varies significantly in size, use and color. A typical Chinese knot is red, but it can also be gold, green or black. 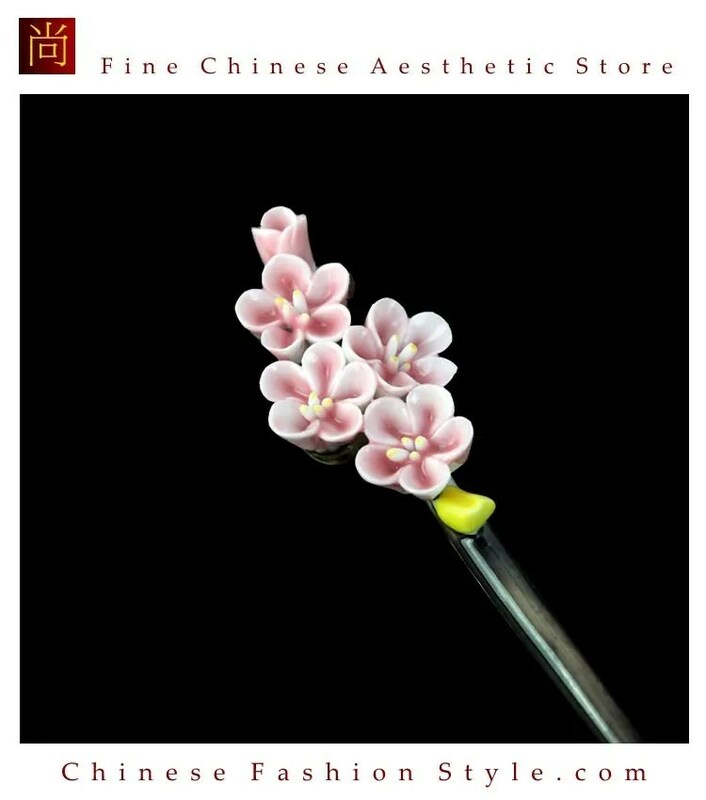 Flowers, birds, fish and insects are common patterns used in the Chinese knot, which derived auspicious meanings from related connotations, such as “Joy”, “Happiness and Longevity”, “Double Happiness”, “Luck and Auspiciousness As One Wishes” and “Have a nice trip”. People are drawn to traditional Chinese knots for different reasons. While many prefer to hang it on their doors to symbolize a joyous atmosphere, many young women like to use it as a fashion accessory to go with their fashionable clothing. The Chinese knot is also used to exchange best wishes among friends as well as to wish a safe journey. A group of designers has given a new interpretation of China’s rich heritage. Chen Nan finds out their unique style. When Brand New China (BNC), a two-year-old fashion store selling Chinese designs in Beijing, paraded its 2012 Spring/Summer Collection on the runway, accessory designers in China, long considered as unsung heroes, stood out. Through their contemporary take on classic designs, most of them reflected the rich heritage of the country. For 32-year-old handbag designer Li Wei, who started her business in 2010, this is the appropriate season to showcase her brand – 37C Handmade. “I love buying bags before I started my own business. But I realized that branded bags and those without brands have similarities in either colors or designs. So I decided to do something different, which cannot be copied,” she says. From small dumpling-shaped purse to mid-sized rectangular handbag and magazine-sized triangle bag, Li’s designs complimented the futuristic and avant-garde clothes donned by the models. The Suzhou native read human resources in college, furthered her study in fashion design, and worked full time as an independent designer after graduation. She borrows the elements of traditional Chinese clothes to develop her own style. Li uses all kinds of texture such as embroidery, brocade, linen and silk, decorate with colorful beads, brass buttons and leather chains. Her various designs are suitable for different occasions. Like many girls, who are fascinated about traditional Chinese fashion elements, such as qipao and other accessories, Li loves the unique Chinese heritage and ancient fashion. “I have bought clothes from international brands, but my favorite pieces are those with Chinese flavor,” she says. Choosing fabrics for each bag determines the shape and style, according to Li. Thanks to her hometown, which is known for silk and other fabrics, Li has a huge choice of resources. “Choosing fabrics is the starting point of my design and it’s an enjoyable experience for me,” she says. Her store in Nanjing carries bags for young and middle-aged women. Each design has alimited pieces to ensure uniqueness. Priced from 100 yuan (US$15.80) to 1,000 yuan (US$160), Li hopes to bring high quality, affordable women’s fashion to shoppers. Li already had a regular crowd of clients in Nanjing when she was introduced to BNC by one of her customers at the end of 2011. She later signed on as one of BNC’s Chinese designers. “BNC is in Beijing, which opens a new window for me and offers me more opportunities,” she says. Li has since released her scarf series, which bear the same design approach as her bags. “I am not too ambitious and don’t aim to go international. It would already be wonderful to have more Chinese women love my design,” she says. Kim Kiroic, 28, also incorporates lots of traditional Chinese fashion elements in his latest design. But unlike Li, the Shanghai-based designer has already built his shoe brand, Kiroic, at the forefront of the footwear industry in China. He has also entered international stage by marching down the runway at Paris Fashion Week and collaborated with international fashion designers. In his latest design displayed at BNC’s catwalk, Kiroic was inspired by the late Qing Dynasty’s (1644-1911) “flower bowl shoes”, which sit on a high platform generally made of wood, or had a small central pedestal. The designer transformed the ancient footwear with bright colors, a variety of fabrics, and trendy shoe styles, such as short boots, re-designed high heels and sport shoes. After leaving his job in Reebok in 2006, Kiroic spent two years creating his own studio and preparing for the launch of his high fashion sneaker brand. The experiences he gained in product management and marketing from working for Reebok proved to be a boon in planning his own business. The debut of Kiroic’s highly-stylized, sandal-sneaker hybrids, attracted style-hungry Chinese buyers. “I like putting different elements together to create a new look and I like mixing the past with the future,” he says. The same kind of inspiration, one which combines old and new, is also reflected in designer Huang Yichuan’s jewelry collection. Underlying her designs is the traditional blue-and-white Chinese porcelain called qinghuaci. 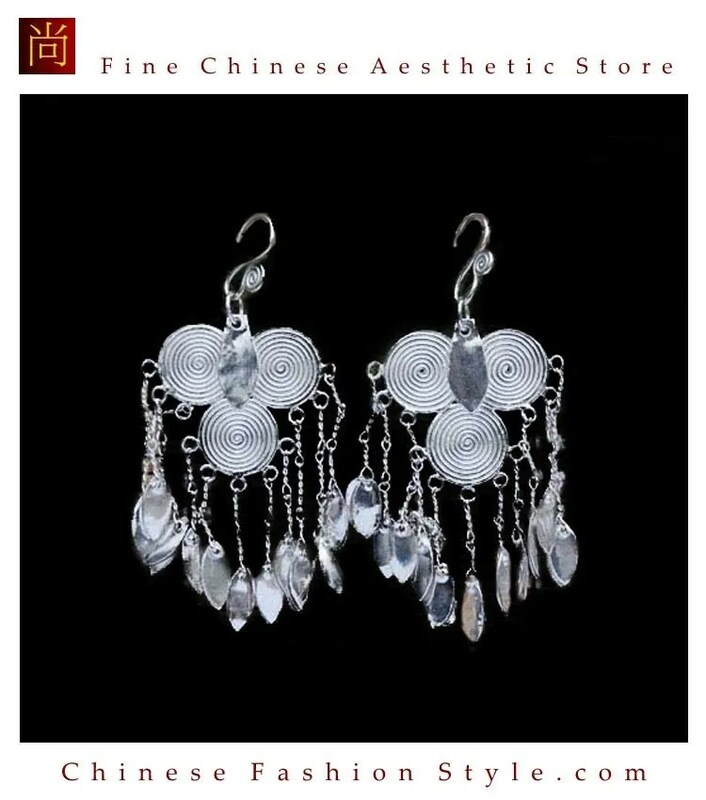 As the designers’ masterpieces are rare and exquisitely handmade, Kiroic’s footwear and Huang’s jewelry are priced at over 1,000 yuan (US$160). “The prices are determined by the designers and most of them believe in ‘slow’ design methods, which not only guarantee the quality but also avoid over-production,” says Hong Huang, CEO of China Interactive Media Group, which owns iLook magazine, a local fashion and lifestyle publication. “The future is bright for Chinese designers who dare to experiment with their new ideas,” she says. With international recognition in mind, China designers are developing high-end styles that can challenge western apparel brands. Manufacturers and designers in China are getting ready to take their home-grown brands to the next level. While it may take many years for these labels to appear alongside Burberry and LV on the fashion streets of Paris and Milan, China designers are slowly but surely getting there. “The apparel industry in China is moving from pure manufacturing to design and innovation, driving China brands to become more well-known and prestigious, ultimately accelerating the economy further. The 12th Five-Year Plan of China aims for China to have between three and five internationally recognized brands and 100 nationally renowned brands,” said Merle Hinrichs, executive chairman of Global Sources, a leading b2b media company and a primary facilitator of trade with Greater China. Take a look at some of these high-fashion designs from selected brands that participated in the China (Shenzhen) International Brand Clothing & Accessories Fair in July 2012. Inspired by the beauty of architecture, the brand Beautilook exudes simplicity and delicateness. Blossoming – the theme for its 2012 autumn and winter collection – boasts colorful designs made of carefully selected fabrics from Japan and France. Hanbo Enterprises Ltd is the sole distributor of Beautilook. Elegance in Nature is what EIN stands for. Weaving together Northern Europe’s design concepts of nature and rebellion, the brand’s latest collection highlights quality not vanity. With a professional team composed of senior designers from France, Portugal and China, MYMO smartly combines Western and Oriental elements in its styles. The brand suits modern women who are in their 20s to 40s. MYMO is created by Shenzhen Lifestyle Fashion & Accessories Co. Ltd. Opening its first store in 2002, Mascot’s business is driven by its love for the Chinese culture. Now, it has grown into a garment chain company with over 80 franchised stores, integrating designing, manufacturing and marketing. Inspired by the Doctrine of the Mean by Confucius, the designs keep a balance between art and business. Mascot is also known for using home-grown printed fabrics, embroidery and bold colors. Originating in Italy, Only Simple or OS highlights harmony, simplicity, femininity and comfort. The brand by Shenzhen Only Simple Fashion Co. Ltd positions itself as a designer of high-end casual garments created using superb techniques and high-quality fabrics. “Travel the city wearing Bohemia.” Just like its name, the brand promotes being free, romantic and natural. Bohemia Garments & Accessories is the sole distributor. “Femininity without showing off” is the idea behind Season Wind’s selections. Designed for the dignified and intellectual woman, the clothes reflect originality, fabric quality and intricate design details. Season Wind is a brand of Shenzhen Xingtai Season Wind Garment and Accessories Co. Ltd.
Shenzhen-based CommeLun advocates “uninhibited romanticism.” Suited for the modern man and woman, the designs are straightforward yet graceful; low-profile but a standout. Innovative fabrics and sewing techniques lend extra sophistication to Shenzhen CommeLun Fashion Co. Ltd’s brand. FGFEEL (Feel Good Feel) conveys freedom, health and candidness. The designs are timeless and delicate. Shenzhen Piaoerqian Fashion Co. Ltd has been creating original designs for the brand since 2000. Self-confidence and freedom of expression are behind every Wonderful creation. Using mostly black, gray and white as base colors, the brand has a pursuit for concise details. It mixes femininity and decisiveness, making it perfect for the young career woman. Shenzhen Wonderful Business Development Co. Ltd owns the brand. Elegant yet natural. Generous yet self-restrained. These characterize Eachway’s apparel for men and women. Every design is made of environment-friendly and natural fabrics. Black, white, gray, beige, apricot and brown are typical in Eachway’s color palette. The brand is owned by Eachway Fashion Group. With China Fashion Week 2013, MODE Shanghai 2013, the leading international fashion trade show in Shanghai, as well as the 2013 BIFT Fashion Week, all taking place this month, we decided to take a closer look at the fashion industry in China. The fashion industry has undergone tremendous change within the past decade and is continuing to expand at an exponential rate. If you walked down the street in China a couple of decades ago, you would more than likely see both men and women wearing the Zhongshan suit (Chinese tunic suit), the Chinese version of a Western business suit also known as the Mao suit. The suit was originally named after Sun Zhongshan (Dr. Sun Yat-sen) after he advocated the wearing of functional clothes. As China underwent its modernization period, women began to experiment with fashion. Many more flowery dresses were beginning to be seen, as well as leggings with straps on the foot, hoses that reached up to the ankle, and hairstyles other than just braids. Because China was slowly picking itself up, fashion developed at a very slow pace. China Fashion Week is a fashion exhibition that was established in Beijing in 1997. Today it has become world-renowned as not only a “top-rated platform for fashion design, ready-to-wear-accessories, styling and other designs and new technologies,” but also as a “platform for promoting brands, displaying originality, and broadcasting fashion trends” to the world. With over 320 designers, more than 350 fashion brands, over 768 fashion shows, the exhibition attracts hundreds of media worldwide. It is held twice a year during March and October. China’s fashion week has proved to the world that it is not only ready to embrace the fashion industry, but that it is becoming pivotal in the innovation of fresh new trends. In March 2010, the leading international fashion show in Shanghai, MODE Shanghai, was established. It is said to cater the needs of global department stores looking to enter Asian fashion retail business, and to be an optimized business platform for retailers and fashion brands. MODE SHANGHAI is more than a trade show, it is a gateway of a tremendous market for fashion brands and designers, as the future’s axe of the global fashion business. In just three years, the fashion show has flourished exponentially. This year, it was held March 12th-14th. There are many more fashion shows seeking to crack Chinese market, including Dior’s S/S 2013 couture show, taking place in Shanghai on March 30 and organized by Bureau Betak. With much more recent exposure to Western media, Chinese consumers are now much more aware of global fashion trends. Furthermore, according to a 2011 study conducted by Bain & Company, as stated in The New York Times, mainland China ranked sixth in the world for spending on luxury goods ranked by country, and in 2010, it was a US$17.7 billion market where Louis Vuitton, Chanel and Gucci remain the most desired luxury brands. Because of such a freshly booming fashion industry, world renowned designers are turning their attention to China. After husband David Beckham was unveiled as China’s first ever global football ambassador, Victoria Beckham will be making a series of high-profile appearances in China in an attempt to crack its market with her fashion line. Luxury fashion label Marc Jacobs is also said to be going after China with plans to add six stores a year to its existing 25 in Mainland China and 5 stores to its stores in Hong Kong. “I think Chinese consumers can learn very fast. Three or four years ago, they may have been merely chasing logos. Now they seek more than that. The chase now is more about lifestyle, social status and how the brand can fit them. It’s not just about a logo anymore,” said Stalla-Bourdillon, Marc Jacob’s chief executive, to the South China Morning Post. Companies such as H&M, Zara, Topshop, and Karen Millen are opening stores at an alarming rate, as China continues to become the fastest growing market with store numbers. Chinese students are seeking to gain more exposure and experience in the fashion industry. The applications to Pratt Institute’s fashion program in New York have more than tripled in the past three years. The younger generation is interested more than ever in fashion and in creating a stronger presence in the industry. This month, Beijing Institute of Fashion Technology hosted its four-day 2013 Fashion Week. According to former vice president of SCAD Hong Kong, “One only has to walk down the street in Shanghai and Beijing today and see the importance of fashion and street style, and how that’s grown and changed in the last 20 years and definitely even in the last five years,” reported China Daily. China’s growing appetite for luxury goods has prompted international fashion houses to incorporate Chinese design motifs in their clothing designs. 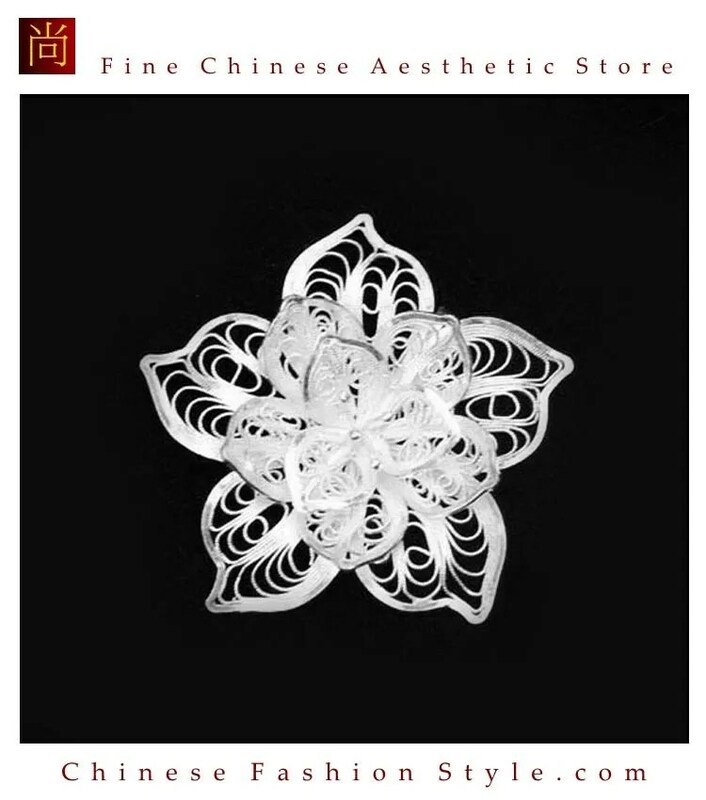 Many traditional Chinese designs such as Qing dynasty and Miao embroidery, folding fans and paper cutting have become popular with designers in the international fashion arena. The fundamental reason that international fashion circles are becoming increasingly China savvy is that the nation’s purchasing power is becoming increasingly strong and that it is overtaking many rich Western countries as a top consumer of luxury goods in the world market. “This is why many brands have begun to incorporate Chinese culture into their works,” said another noted designer Fan Ying. “However, any Chinese cultural heritage adopted by world brands would be used only as an addition to their products, to enrich their original designs. They would not change their basic style as each brand has its own soul,” Fan said. In the view of national designer Li Xin, the fact that foreign designers want to take inspiration from China underscores the fact that eastern culture is catching on in the world and that they must follow this growing international trend. Zhang said that at a time when China is gradually becoming a leading consumer of luxury goods, many international brands are seeking every possible means to grab a significant share of the Chinese market. When they move to embrace Chinese elements as a gateway to China, they actually are testing the waters, he added. The expansion in China of Armani, a world famous fashion brand, is both aggressive and impressive, he noted. It first established online shopping operations in the United States, Europe and Japan. It then opened online stores in China using its Emporio Armani brand. Armani is the first major world brand to sell luxury goods in China via web sites established in the host country. Traditional Chinese dress was profoundly elegant, extravagant and a prominent part of the culture of China. With the passage of time however Chinese dress has evolved into something new. Today’s Chinese dress use traditional elements implemented with contemporary styles in order to develop a revolutionary modernized Chinese dress. Chinese fashion designers have retained old school motifs. These include motifs that were popularly used in China such as abstract images of dragons, lions, opera masks and various other deities. 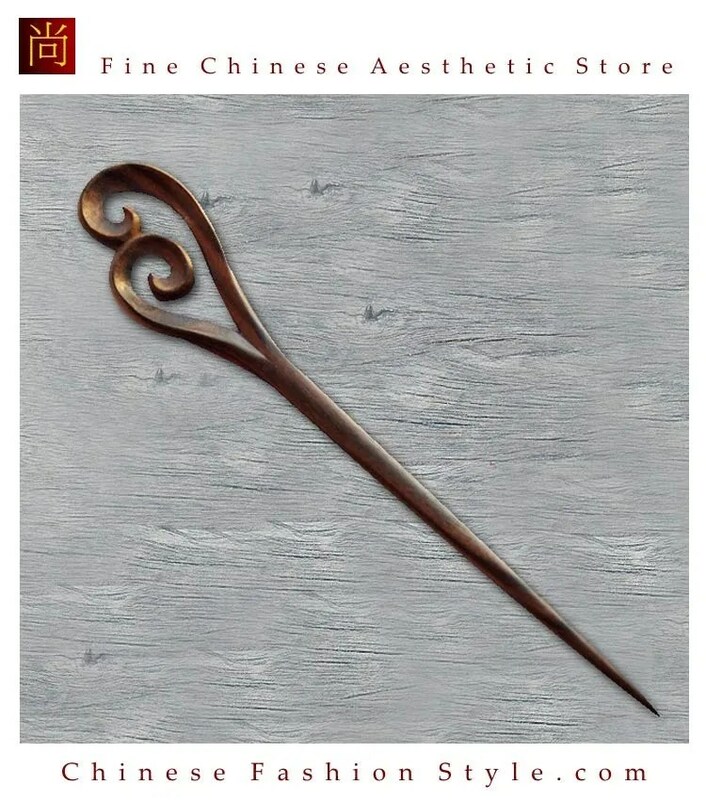 The use of Chinese bronze is also prevalent amongst the modern day fashion designers. They use this to create printing, embroidery, woven and applied designs on clothes. Not only do the contemporary fashion designers make use of old school motifs, Chinese paintings are also used as patterns in the modern Chinese dress. The modern dress varies according to the occasion. 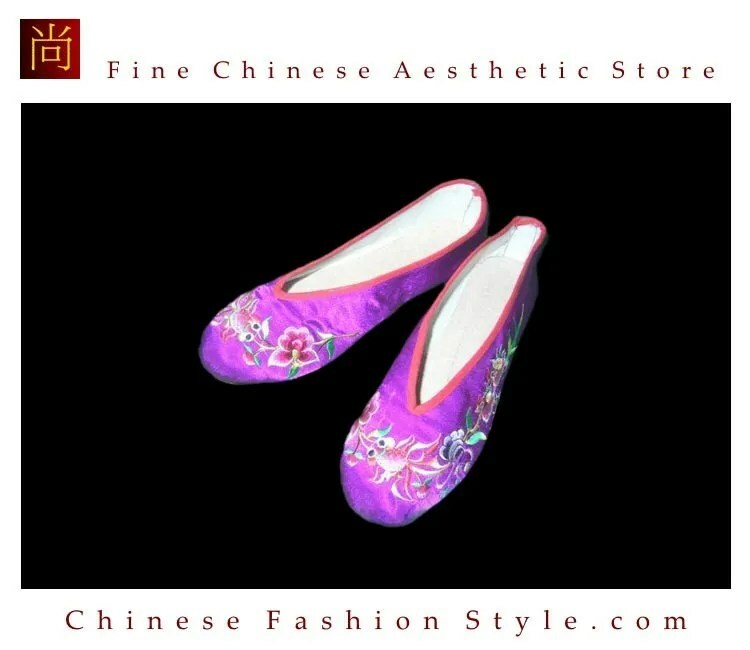 The men have a special refined version of the traditional Chinese gown as dignified attire to wear to social gatherings. For women there is a jazzed up version of the traditional dress wore during the Ching dynasty now known as Chipao. The basic structure of these dresses remains the same but fashion designers have a limitless variety when it comes to composing the cut for the collar, skirt and sleeves. Similarly they create designs where they experiment with the length, width and height of the gowns. And then you have the printed designs as well as the embroidery to work with. 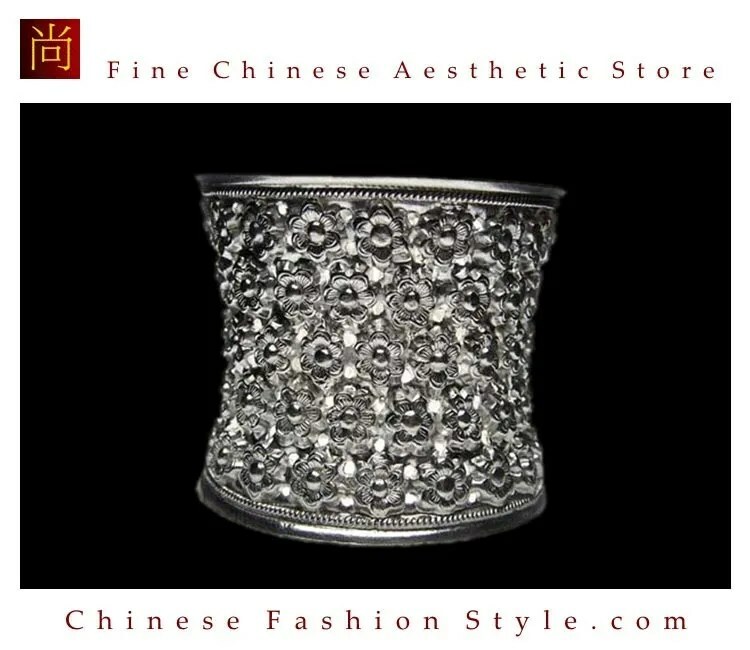 The use of fashion accessories with the traditional Chinese dress has always been part of the Chinese culture. 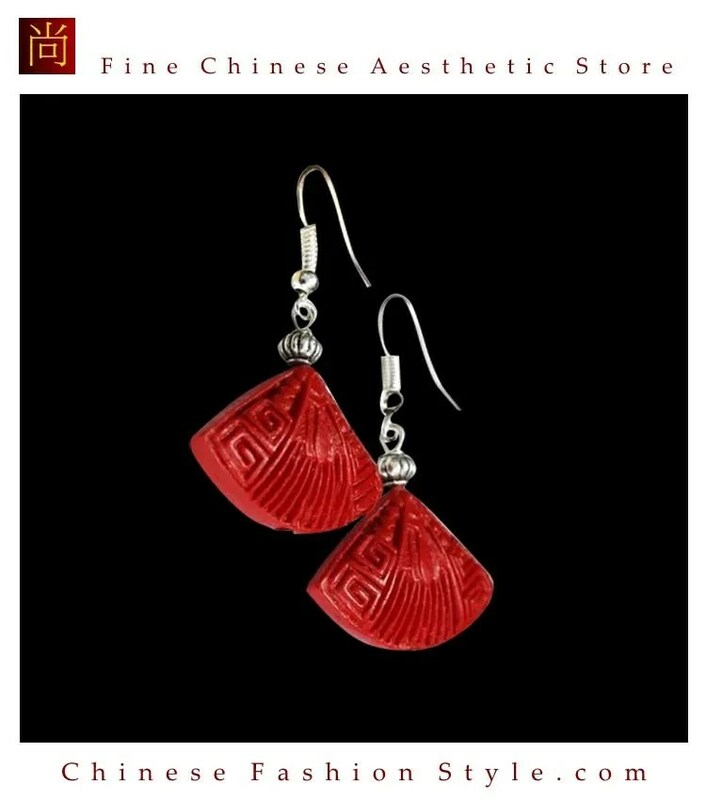 This practice is still pretty much present amongst the modern day Chinese with the only difference being that the fashion accessories too have evolved. The use of macramé is quite popular as a means of decorating the shoulders, seams, openings, belts, pockets and even hair ornaments and necklaces. There are many profound examples of modernized fashion dresses such as the new age bridal tiara. 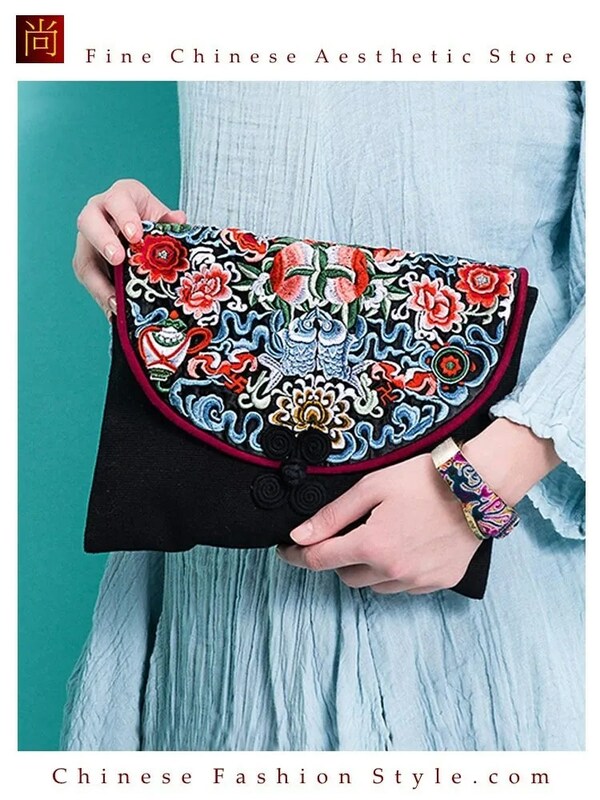 This contemporary evolution shot off from a design that was popularized during the Sung Dynasty coupled with the style of embroidery that was popular in the Hunan Province. 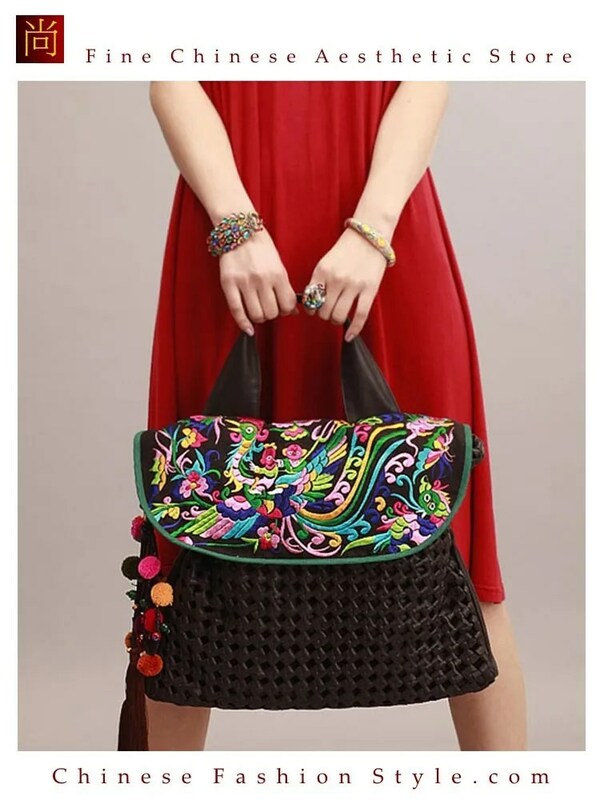 The Hunan style is particularly emphasized on the design of the sash. Fashion designers make use of traditional colors such as green, blue and most importantly red. Such examples go to show how the age old traditional Chinese dresses have served as the basis of contemporary Chinese fashion. The new age Chinese dresses have gained popularity in non-Chinese cultures as well as they have a touch of elegance cut out to appeal to the modern masses. The Chinese dress sense is one of the most intriguing elements of their culture. The Chinese have paid great attention to their attire throughout their history. 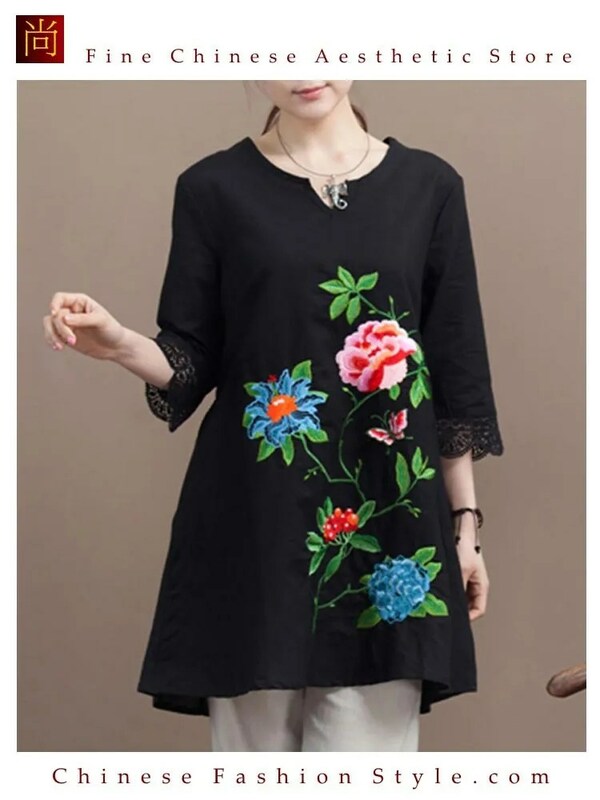 With the passage of time however Chinese clothing has undergone many changes and the modern Chinese clothing that has evolved seems to have a much larger appeal to the masses. Archeological discoveries from many years ago reveal the Chinese passion for decorating their clothing. They would make use of shells, beads and other ornaments to decorate their clothing. The remains from the early days also show the interesting use of color that the Chinese would make with regards to their clothing. Chinese clothing had a system of matching and contrasting colors when it came to giving character to their dresses. Traditionally we find the Chinese to favor the use of darker colors as the base with light and contrasting colored accessories. Contemporary Chinese clothing draws upon ancient elements of Chinese clothing traditions and seeks to reintroduce them in a revolutionary new way. 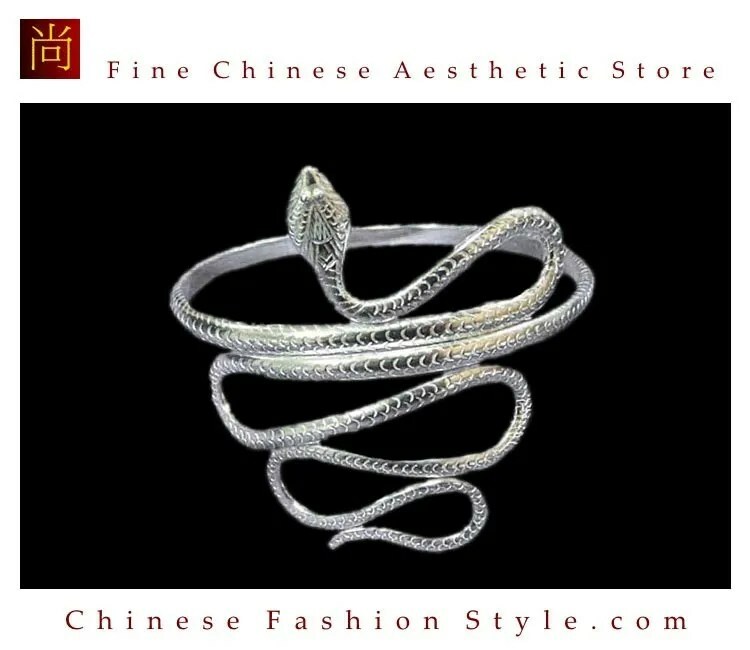 Since symbolism has been a main feature of the Chinese culture you will find many modern Chinese fashion designers to make use of classic Chinese symbols in combination with modern trends. Chinese fashion designers have taken to the task of developing clothes for children and young people using classic Chinese symbols. 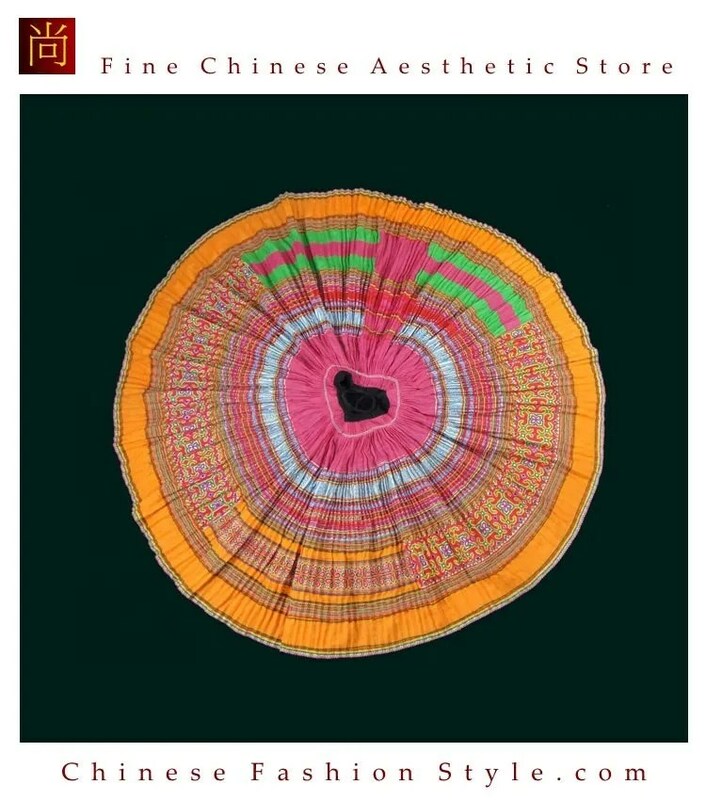 You will be able to find a wide variety of modern Chinese clothing with symbols like good fortune, images of deities, opera characters, masks and dragons. The use of appliqué bronzes and designs from ancient times have come into popular use amongst the Chinese fashion designers of today. 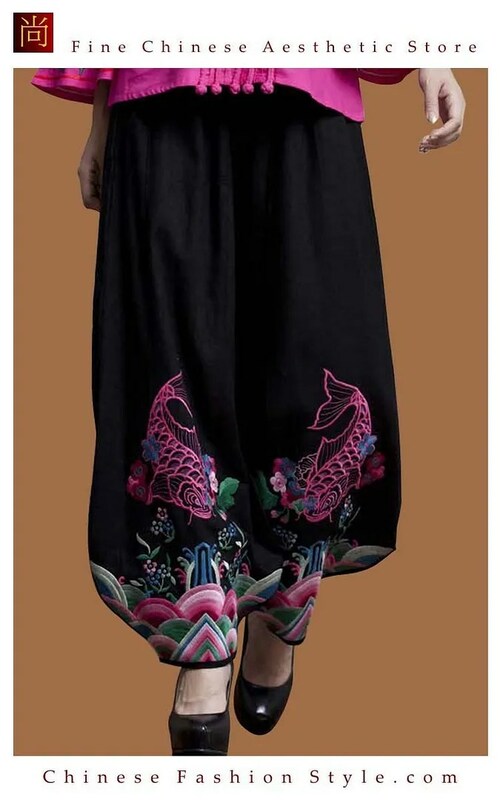 The incorporation of ancient motifs, embroidery patterns and weaving styles with modern fabrics has produced an interesting array of contemporary Chinese clothing. The classic Chinese symbols used in modern Chinese clothing have two distinct qualities. They are highly elegant and creative in terms of their aesthetics. On the other side they carry a deep innate meaning that adds even more value to them. The use of the traditional macramé is also prevalent in modern Chinese clothing. This unique element is used for ornamental purposes. 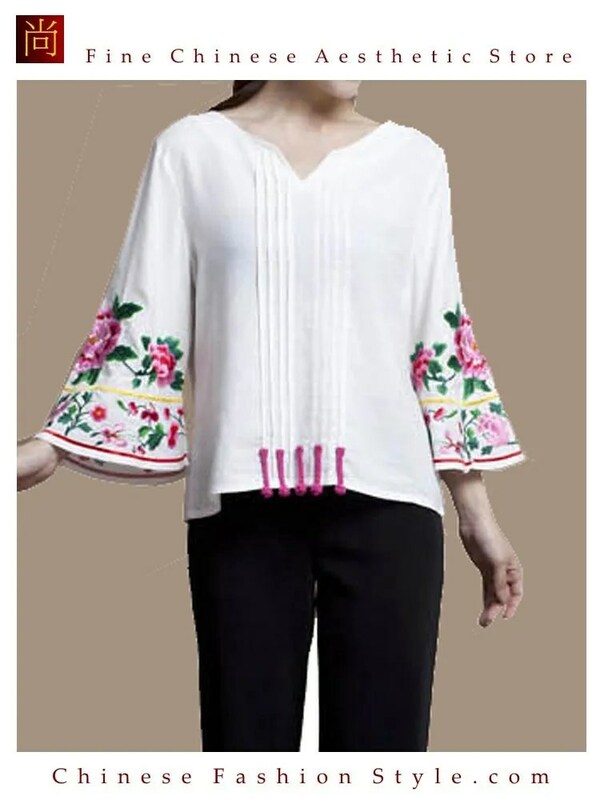 You will find modern Chinese clothing to be featuring the macramé on bodices, seams, pockets, borders and shoulders. Another modern introduction of a traditional Chinese trend can be witnessed in the bridal tiara. 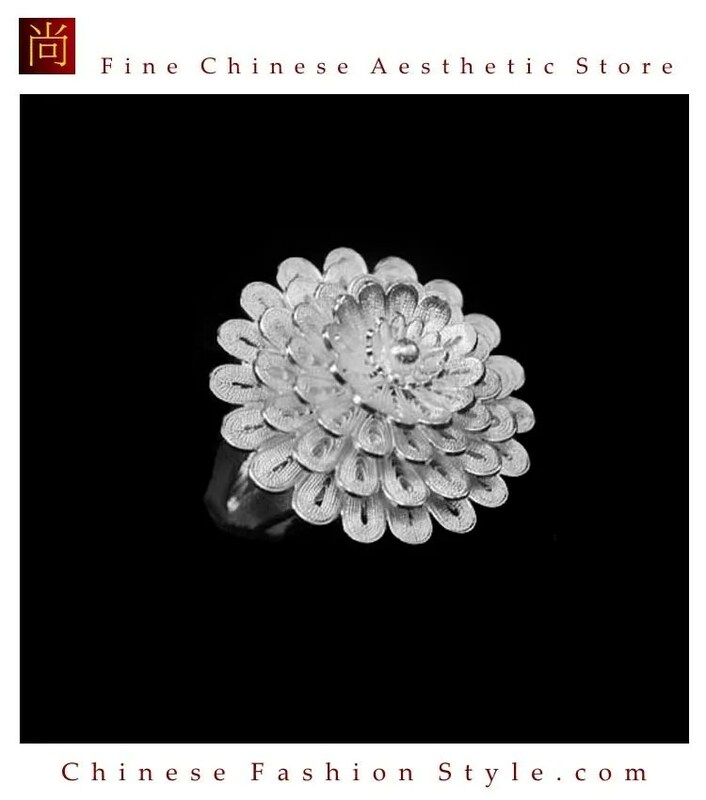 Taking its inspiration from the Sung Dynasty the modern bridal tiara is the ultimate example of modern Chinese clothing. 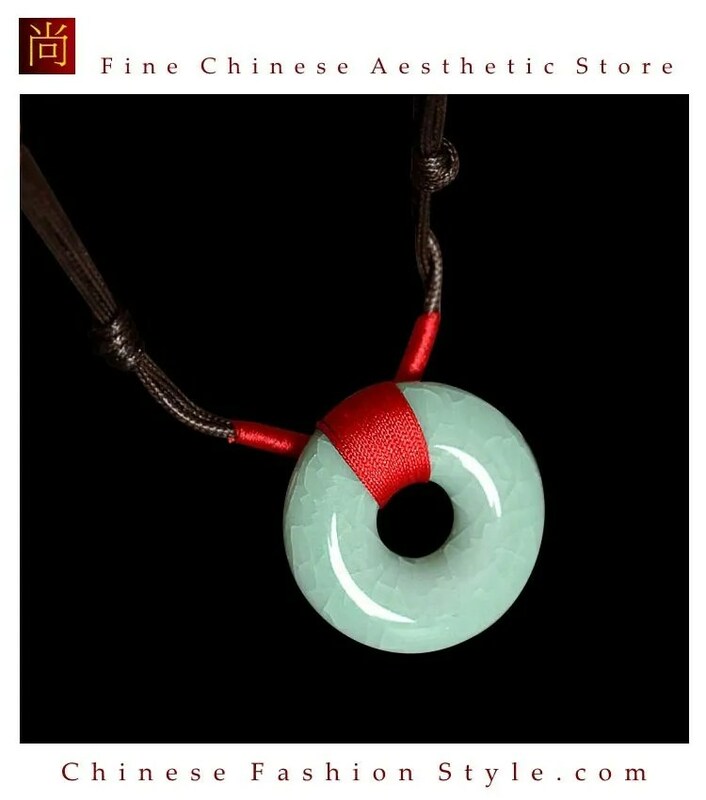 It features the traditional sash and pendants in the classic colors of blue, green and red. The original version of this dress is still worn in some regions of the Hunan province in China.